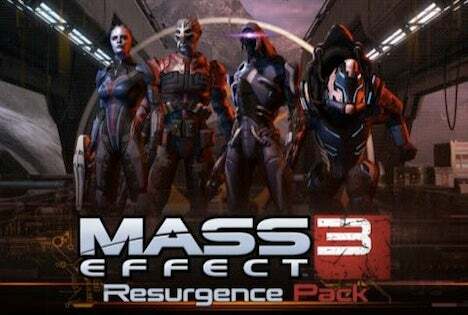 From out of the freezer and soon to be landing on to the frying pan filled with many eager Mass Effect 3 fans, the upcoming Mass Effect 3 Resurgence pack will certainly please many expecting it. Due for release to the masses, for free I may add, on April 10th, the Resurgence pack will offer a plethora of added goodies to the already massive and octane filled multiplayer mode. Such bonuses are listed below. Two new maps will be added to wage war on. Firebase Condor will take place on a war ravaged moon orbiting the Turian planet of Palaven while Firebase Hydra will dwelve deep into an once inhabited Quarian colony. New weapons will be avaliable in the armory. Expect to have the chance to wield another Geth weapon, the Geth Plasma SMG, whilst fighting alongside your comrades utilizing a Kishock Harpoon Gun and the Striker Assualt Rifle. Added consumables will be avaliable for use in the pre-game lobby. To those who sport muscularity over weapon mastery, the Strength Enhancer will sure boost your Krogan's lethality. To those looking to hone a more deadly shot between the eyes, the Targeting VI will increase headshot damage whilst the Stabilization Module will reduce weapon kick back. Lastly to those who are simply tired of shield recharge times, the Shield Power Cells will reduce shield recharge times so you can quickly return to the fray. The inclusion of new characters are always welcome, too. Expect to take the helms of a Geth Infiltrator and Engineer, a Krogan Battlemaster, Batarian Soldier and Sentinel, and an Asari Justicar. BioWare may actually surprise their fans who may have had long held doubts over Mass Effect 3's multiplayer system. The fact that the upcoming DLC is free is more than an added bonus to those who may have saved some Microsoft Points or some cash to afford a Mass Effect 3 DLC release. Keep note that all these DLC additions will be avaliable through reinforcement packs and will not automatically be granted by simply accessing and downloading the DLC. Nevertheless, raise a toast to BioWare and be ready for a highly anticipated content drop!